West Ham manager Manuel Pellegrini has urged the football authorities to take the strongest possible action for any fan responsible for abuse directed at Liverpool forward Mohamed Salah. “We must have high standards and when this happen, you must take action. The club knows how to work and says it cannot accept these kind of things in the game. West Ham face Crystal Palace on Saturday looking to build on their encouraging performance in the 1-1 draw against the leaders. Marko Arnautovic is fit after missing that match with a foot injury, but Jack Wilshere will be absent again. The former Arsenal midfielder has been hampered by ankle problems all season and Pellegrini has cast doubt over whether he will be fit before the end of the campaign. “Jack will finish his six-to-eight weeks (rest) after his ankle surgery next week,” he added. “He will return to different work and we will see how he is. 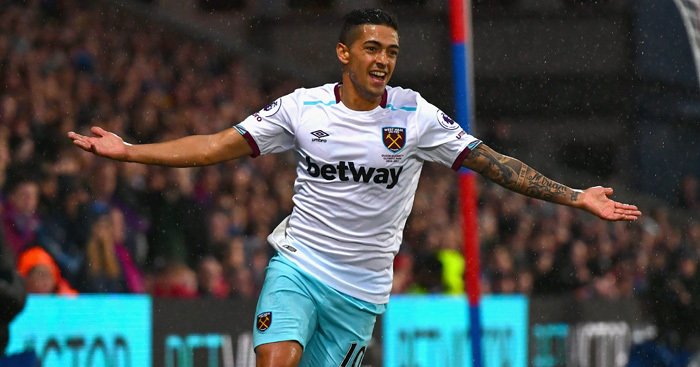 “We hope that Manu Lanzini will be ready for Fulham, at least for the bench, if he continues working over the next two weeks,” said Pellegrini. The post Pellegrini makes demand over racist Mohamed Salah abuse appeared first on teamtalk.com.